Humane Society International (HSI) wildlife experts warn that decisions taken at the CITES international wildlife trade meeting can be “do or die” for some of the world’s most iconic and threatened species such as the African elephant, rhinoceros and pangolin. HSI is a global body that addresses illegal trade in wildlife among other issues. India is one of the oldest parties to have signed the CITES convention. 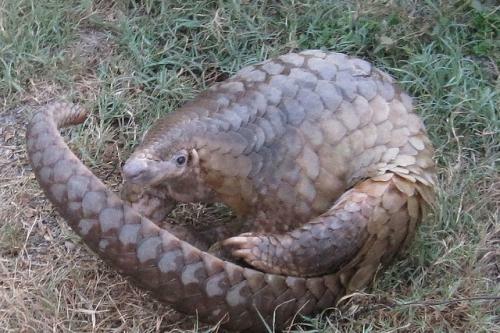 For CITES CoP 17, the Government of India has submitted a proposal for the up listing of Indian pangolins to Appendix 1 of CITES. It has also co-proposed the inclusion of nautilus species in Appendix 2, along with Fiji and USA. Support has been expressed for the greater protection of Sunda pangolin, Chinese pangolin, thresher and silky sharks. The Chinese and Indian pangolins as well as nautilus are listed on India’s Wildlife Protection Act, 1972, but populations of all these animals are threatened. Teresa Telecky, director of the HSI’s wildlife department and leader of the organization’s delegation at the upcoming CITES CoP17 in Johannesburg, said, “With so many of our wild animal and plant species facing serious threats from rapacious poaching and commercial trade, this CITES meeting represents a “do or die” moment for iconic animals such as elephants, rhinos, lions, and pangolins.